Queer and Transgender Staff of Color is a group for individuals within the LGBTQ communities who also identify as a person of color. This groups provides a few events each semester. To join the group's listserv, please fill out this form. 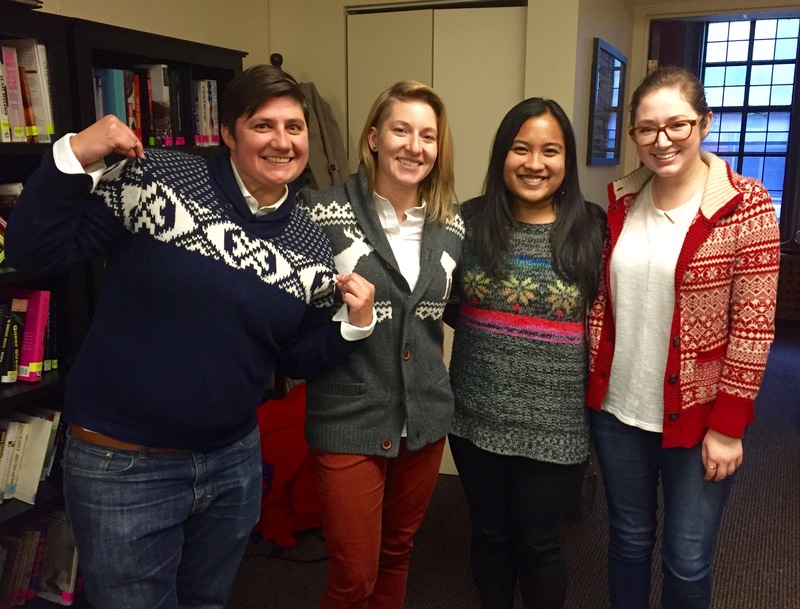 Welcome to the Lesbian, Gay, Bisexual, Transgender, and Queer Staff at University of Michigan. The group originated from the Divsion of Student Life and is now open to all staff who self-identify as LGBTQ+ at the institution. To join the group's listserv, please fill out this form expressing interest. Each semester, the group organizes a few events which allows LGBTQ+ staff around the University to get to know each other and build community. Click on the button below to see the offerings for Fall 2017. In 1992, a University-wide group of faculty and deans formed the University of Michigan LGBT Faculty Alliance (UMFA). We welcome interested faculty to join us. Our activities include working on University policies that affect the LGBT community, students' academic needs, curriculum development, and new faculty support. We also hold an annual reception. To join the Alliance's email listserv group, send a message to LGBTfacultyalliance@umich.edu, using subscribe as the subject. In Fall 2001, LGQRI became a program of the Institute for Research on Women and Gender. Since then, LGQRI has pursued its strategy of developing a more formal identity for the abundant resources that already exist on campus. The UMHS Pride Network is an employee resource group for TBLGA (Transgender, Bisexual, Lesbian, Gay, and Allies) Michigan Medicine faculty and staff working to ensure an inclusive, respectful environment for TBLG staff and to promote cultural competency related to the care of this patient population. *This list may not be exhaustive. If you have information to add or suggested changes, please email spectrumcenter@umich.edu.